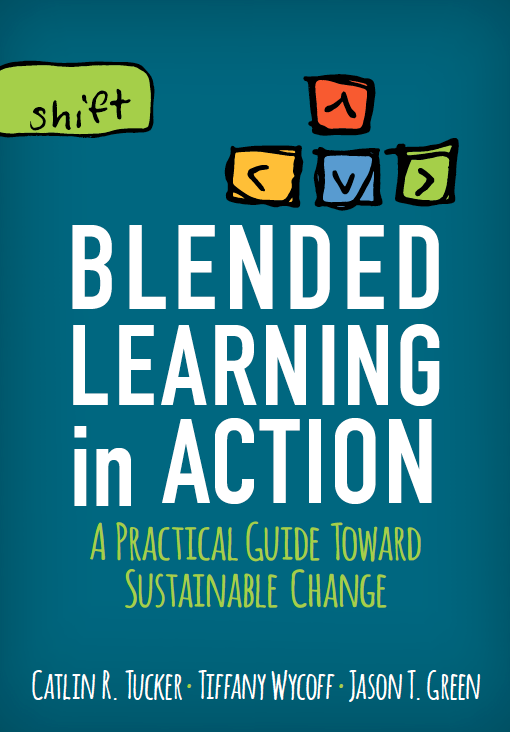 ← What Does Learning Really Look Like? Last year, I began experimenting with standards-based grading and wrote a blog titled “Grading for Mastery and Redesigning My Gradebook.” My goal was to shift the conversation away from the accumulation of points and, instead, focus on the development of skills. Although I appreciated the immediate change that took place when I began grading based on my students’ ability to master specific skills, I knew I wanted to go even further this year as I began N.E.W. School. This summer I read Starr Stackstein’s book Hacking Assessment: 10 Ways to Go Gradeless in a Traditional Grades School. In her book, Stackstein chronicles her journey ditching grades in a traditional school setting and offers some excellent strategies a teacher can use to go gradeless. I found the sections titled “Track Progress Transparently,” “Teach Students to Self-Grade,” and “Cloud-based Archives” particularly helpful in planning for this year. 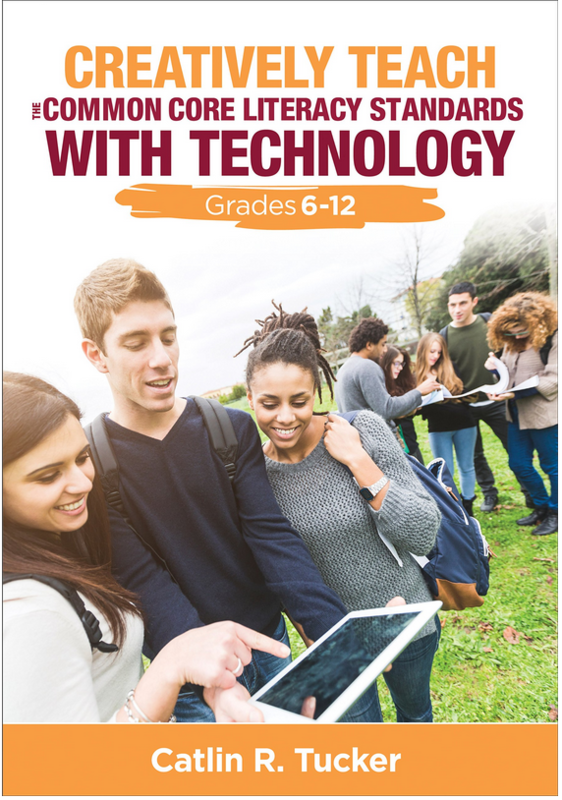 In an effort to do all three of these things–create transparency, teach self-assessment, and archive work online–AND keep parents in the loop, my teaching partner and I developed a Google Document for the first unit of the year with 10 focus standards for each class–English, science, and technology. 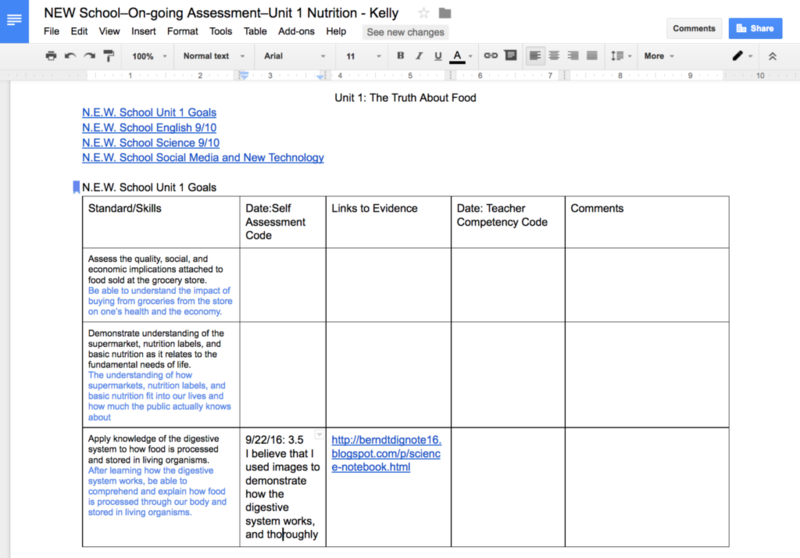 We shared this “Ongoing Assessment” document with each student via Google Classroom. Their first task was to read through and rewrite the standards in a way that made sense to them. Then each student shared their ongoing assessment document with his/her parents as a “Comment only” document, so parents could follow their child’s progress and post questions. The “Ongoing Assessment” document was designed to encourage students to take ownership of both their work and the evaluation of that work. They are given time each week to assess their progress in relation to specific skills and reflect on their learning. It’s their job to assess their skills on a scale of 0-4 and provide evidence from their body of work to support their self-assessment. 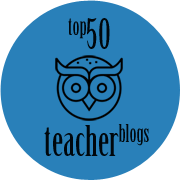 Another column is dedicated to teacher feedback. We post our assessments of specific pieces of work and include multimedia documentation of what we are seeing in class. Students are able to post comments and questions in response to our feedback and this often leads to a conversation about how to improve. This strategy also provides parents with a window into the classroom and the work their child is doing, which alleviates some of the anxiety of not having an online gradebook. At the end of the first 6 weeks of school, I’m required by my school to submit a letter grade for each student. To prepare for grade reporting, my teaching partner and I met individually with each student to agree on an appropriate grade. We used the Station Rotation Model to move students through a series of student-driven activities and assignments while we met with each student. In her book, Sackstein addresses the questions and concerns many teachers have about dedicating this much class time to conversations with students about their progress. She makes the excellent point that “how we spend our time in class is indicative of what we prioritize in education.” She also presents a range of strategies teachers can use to create this time and space both in class and virtually, if need be. We asked students to prepare for these conversations by preparing a formal argument. They had to begin by stating a clear claim about the grade they deserved for each class. Then they had to support their claim with 3 pieces of evidence from their body of work. Their evidence needed to be specific pieces of work they believe showed their level of mastery in relation to specific skills. If we did not feel the grade they proposed was appropriate, we would present a counterclaim and students had an opportunity to present a rebuttal. The conversations that ensued were fantastic! I’d argue these types of conversations are also crucial to success beyond high school. Although the conversations required substantial time, it was worth it. My students had a real voice in their assessments. Grades weren’t a surprise. Instead, assessment became a conversation. Students left our meeting with a clear sense of where to spend their time and energy to improve in relation to specific skills. 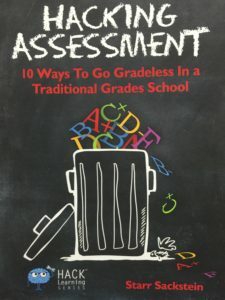 For those teachers looking for a different way to approach assessment, I’d highly recommend reading Hacking Assessment: 10 Ways to Go Gradeless in a Traditional Grades School! This entry was posted in Grades and tagged grades, grading. Bookmark the permalink. I also read Sackstein’s book this summer and attempted to do something like this in my HS English classes. I’m having the students present their evidence in a portfolio, which has been pretty successful, for the most part. I have to say that while I love giving narrative actionable feedback and the results I get, the time commitment is really wrecking me, especially given that I’m teaching 160 students in two grades this year that I’ve never taught before. I’m thinking that I might have to scale it back so I can get some sleep. Any tips or ideas for streamlining the process? What do you find makes the most impact? I’m preparing to have quarter grade conversations next week, and preparing the formal argument is a great idea. I’m tremendously grateful for your fantastic ideas and your willingness to share them. Your work is having a positive impact on students far and wide! Thank you! I totally hear you on the time investment. I’m not sure there is a great way around that when you are stuck in a traditional school schedule. Last year when I taught in a 90 minute block period, I did a lot of narrative feedback (on docs and via audio recordings) outside of class. My kids also did portfolios and they were a beast to provide feedback on. I did end up gravitating to audio feedback for quick commenting, but it often happened outside of class. I wrote a blog about how I used 1:1 conversations where I pulled kids to talk with them about their work while the rest of the group moved through a Station Rotation lesson. That was the best strategy I found for creating time in class to have meaningful conversations with students about their work. This lightened my take home load substantially. This year I’m piloting a new program, so I see my kids for 4.5 hours every other day. That has finally allowed me to move most of my assessment back into the classroom where it belongs. I could not do all I am doing in a traditional classroom. I particularly like that your students provide evidence to support their assessment scores. It’s hard for some old schoolers to wrap their brains around many of these ideas, so I think it’s great that you are writing about it and showing us what it looks like. I’m happy to provide specific examples of how I am trying to make this work in my classroom. It’s definitely been a journey for me too, but I love the difference it is making in my conversations with my students. I’ve tagged them both as “grades” and “grading.” I also labeled them under the category of grades. I hope that helps! Thank you! I used the “grades” category to link them both. Keep on keeping on! Our 1:1 conversations begin October 24th for this group, and I’m excited. You’re welcome, Joy! I’m glad you were able to link them. Tell you group, they are welcome to send me any questions and/or comments via Twitter. Wow! I have been following your blog for some time. While I found your many of your posts “interesting”, I was never moved or inspired to action. Until today. I left teaching after 20 years in the classroom because of a personal struggle against too much standardized testing, the emphasis on evaluation of almost exclusively lower-level thinking skills, and a system and environment which ignored or discouraged my efforts to use other more appropriate assessments. It appears these are many of the same issues (or very similar) you confronted and decided to attack with your change in assessment and grading. The resource (and those of other commenters), as well as your description of your implementation, encourage me to believe it may be possible to subversively and covertly implement my beliefs and values without having to change the system around me. I will read the book and reflect on whether it can provide sufficient methodological support for me to “fight the good fight” once again. Thank you to you, and your commenters, for showing me I was not (am not?) alone in searching for better assessment for my classroom without having to change the whole school. I’ll conclude with a quote from Cervantes, “The wounds received in battle bestow honor, they do not take it away…” You are truly an honorable teacher. You are definitely not alone, Mark! I too have often felt disillusioned with my profession and the things that schools decide to myopically focus on. I was at a breaking point with assessment. I didn’t want the conversation to be about points but rather about learning and the development of specific skills. This new approach has been BEYOND rewarding for me and my teaching partner. I also think the students are realizing the value of looking at their own body of work to assess their own learning. I was also encouraged by John Hattie’s work that identified self-assessment and self-reported grades as one of the most important influences on learning. Thank you for the comment! I hope you’re inspired to return to the classroom. We need great teachers pushing boundaries! Thank you, Laurel. I’ll check it out. Thanks! 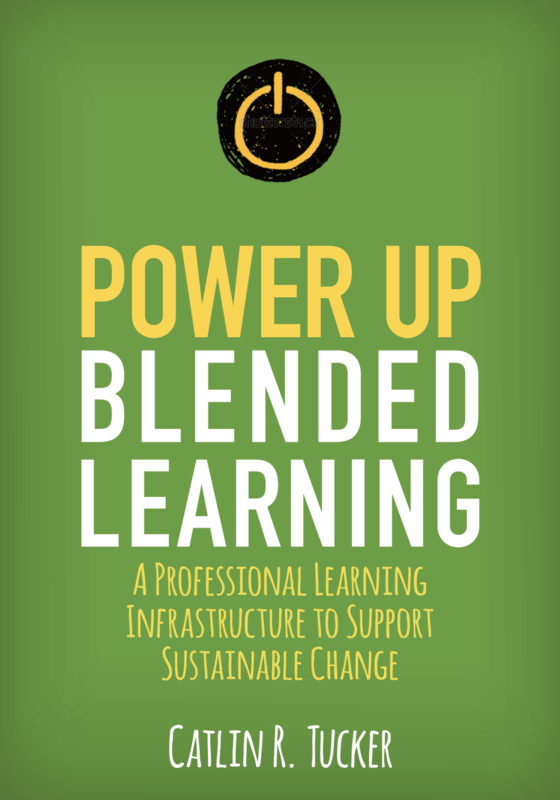 Let me know if you have questions or feedback – we’re still tuning it up and love to hear from teachers! I’ve been wrestling with how to effectively and appropriately assess my students work in a way that provides meaningful feedback and also allows them to take charge of their own learning, so upon reading your post many light bulbs turned on in my head! I would like to experiment with your grading model with one of my classes and was wondering if you would be willing to post a link to an example of one of your google doc grading pages? It would be an awesome help! I cannot share a link to an actual student document as that would breach their privacy, but I’d be happy to share my template. It has the standards identified and will give you a sense of the layout/formatting for the grading doc we used during the first unit of the year. I hope it’s helpful! Thanks Catlin! 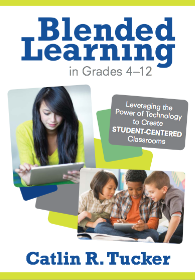 This looks great and I’m excited to try it out with my students this upcoming quarter. Good luck with the rest of your school year! Hope all is going well. I was wondering what your “teacher competency code” looks like? Is it similar to the students’ self-assessment code? Yes, we both use the same scale. not be ongoing? If so, how would you continually assess it? Yes, several standards are reoccurring in multiple units. Are your students given direct assignments as in the past for a unit or is it entirely on the student with some guidance from you? A combination of both, Shannon. If I give students an assignment, they usually have a high degree of flexibility in how they approach it though. I prefer to have them play a role in designing assignments. I’m in the process of moving to a Standards Based Grading Model with my 7th and 8th Grade English Students. I plan to use the on-going assessment document you have used, but am wondering if you still have students create their own websites at the end of the year in addition to providing evidence of learning on the assessment document? Thank you for your inspiration and advice! My students have transitioned to digital notebooks, which I have combined with the digital portfolio. Now, there is a “best of” tab that displays the strongest work students complete (they choose). That tab becomes their portfolio where they display the work they’ve edited, revised, and improved. This tab often includes pieces they have reflected on in their ongoing assessment document and had reassessed. The ongoing assessment document is something students use to reflect weekly on their learning in each unit. It is separate from their digital portfolios. Ask Yourself, Why Am I Grading This? Do What Lights You Up This Year!